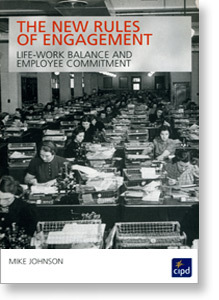 This book offers practical, down-to-earth solutions, providing first-hand insights into engaging today’s employee. How many employees care enough about their work or your organisation to do anything other than the bare minimum? How many would stay if they got another job offer? How are the best and smartest corporations recruiting, rewarding and retaining their top talent ? 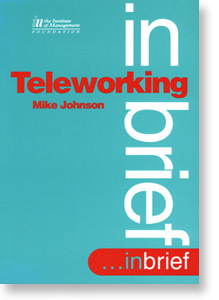 This book is an in-depth guide to the new age of work and what it means for the people in it. In the global talent wars, companies are seeking out and securing high performers any way they can. 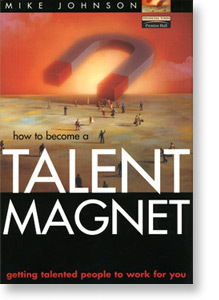 This book is your tactical plan for winning the people wars and sustaining a talent-rich environment. Jean-Claude Larrėchė, Professor of Marketing INSEAD. 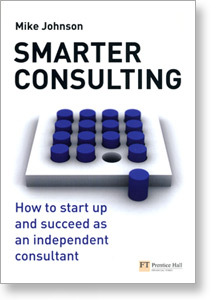 Ed Gubman, Global Practice Leader, Hewitt Associates and author of The Talent Solution. Lance Wright, vice president Human Resources USEC. Mike Staunton, Director, Motorola University, Europe, Middle East, Africa. Lyndon Evens, Director of Marketing, Manpower Inc, Europe. “A really great book - I recommend it highly. Mike Johnson provides a comprehensive but concise account of the way the talent market is moving and what it means for both organisations and individuals. The style is down-to-earth, making 'Winning The People Wars' highly readable - the book is indeed a lesson in itself in how to communicate concisely and powerfully. Large-printing of key messages helps the reader retain some of the learning provided in the book and makes the text visually attractive. I consider this to be possible the most important interpretation of where the world of work is moving since William Bridge's Jobshift was published in 1995. Jobshift, more than other book in my opinion, was the first book that really got to the very heart of why the world of work was changing. 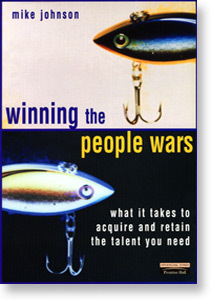 'Winning the People Wars' is a gripping account of how the marketplace has been evolving since, where its likely to go, and what it means for individuals and companies that seriously aspire to be best of the best. Whether you're a CEO, CLO, executive, HR professional, consultant, trainer or just beginning to build your career, this book has a lot for you. “Winning The People Wars" addresses the single most strategic issue that keeps business executives awake at night. 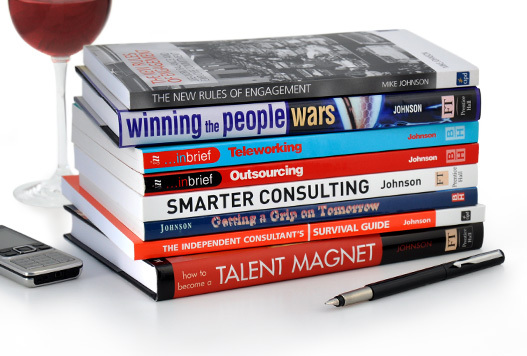 The author has thoroughly researched the subject of managing talent in the new world order, and provides readers with strategic and practical solutions for attracting, retaining and developing the company's most important asset: its people. 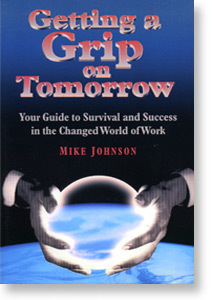 Well structured, chock full of examples and easy to read, Mike Johnson provides the most comprehensive handbook for hand-to-hand combat in the world's labor market. 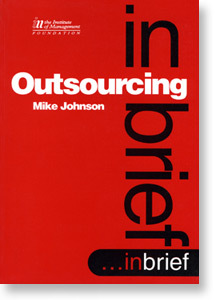 Johnson captures leading thoughts, best practices and multi-cultural insights from managers around the world in all sectors of business. This is not a theoretical approach to human resources management. This book faces the reality of 2000, with hard-hitting ideas and smart strategies for investing in people. 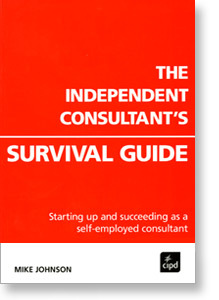 This is the kind of business book that one reads to gain competitive advantage for oneself as well as one's company. It is also the kind of book that you keep on your desktop to refer to again and again.